Dr. Seuss meets Anne of Green Gables in this Extended Edition of the Adventures at Pleasant Grove, a turn-of-the-century, old-fashioned, family-oriented trilogy of stories about a dog and a mouse who always manage to save the day. Join Annie, the red-haired Retriever, and her best friend, Benny the Mouse, as they enjoy many fantastic adventures happening daily at Papa’s Pleasant Grove! Come experience danger, romance, jealousy, betrayal, scandal, redemption, and even a critter-napping or two. It’s all here when you enter the magnificent world of Annie and her fabulous faction of fellow farm friends! And for the first time, you can enjoy both the Book and the Glossary in this Extended Edition. As the author has written the book with terminology that will challenge the middle reader, the Glossary will assist in comprehension, as well as encourage expansion of the reader’s vocabulary. There are many new and exciting words to learn in the Adventures at Pleasant Grove, as well as a few new ones the author has invented just for her Pleasant Grove family! Dr. Seuss meets Anne of Green Gables in this turn-of-the-century tale about a dog named Annie and her friend, Benny the Mouse, who always save the day! It is an homage to Grandfather, who passed away months after it was originally published. Lily-Marie Taylor is author of the biographical fiction piece, My Name's Lyman, and the children's book, Adventures at Pleasant Grove. Both are being produced on audiobook at this time and should be available on Audible, iTunes and Amazon by the end of October, 2015. Currently, the books are available in Kindle and paperback versions on Amazon. 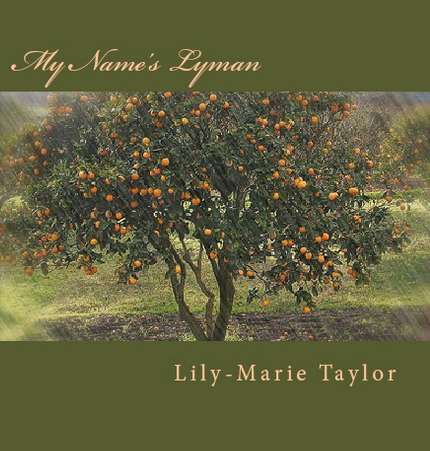 Here are the synopses: My Name's Lyman, by Lily-Marie Taylor, tells the story of a man named Lyman and how the choices he makes impact his Destiny, as well as the Destinies of those around him. Each chapter represents a different Destiny of Lyman Liri based on a choice he makes at a universal point in time. It is always told from the perspective of someone who knew him. When Lyman chooses one direction over another, the consequences are often dramatic. In some scenarios he's famous, and in others he sleeps on the streets. But one thing is a constant: Lyman, the man, never changes. Through Lyman, we learn that even though our choices may alter our Destiny, it doesn't change who we really are. In every circumstance, the hero lies within us. We need only let him rise. Dr. Seuss meets Anne of Green Gables in the Adventures of Pleasant Grove, a turn-of-the-century, old-fashioned, family-oriented trilogy of stories about a dog and a mouse who always manage to save the day. Join Annie, the red-haired Retriever, and her best friend, Benny the Mouse, as they enjoy many fantastic adventures happening daily at Papa's Pleasant Grove! Come experience danger, romance, jealousy, betrayal, scandal, redemption, and even a critter-napping or two. It's all here when you enter the magnificent world of Annie and her fabulous faction of fellow farm friends! And for the first time, you can enjoy both the Book and the Glossary in this Extended Edition. As the author has written the book with terminology that will challenge the middle reader, the Glossary will assist in comprehension, as well as encourage expansion of the reader's vocabulary. 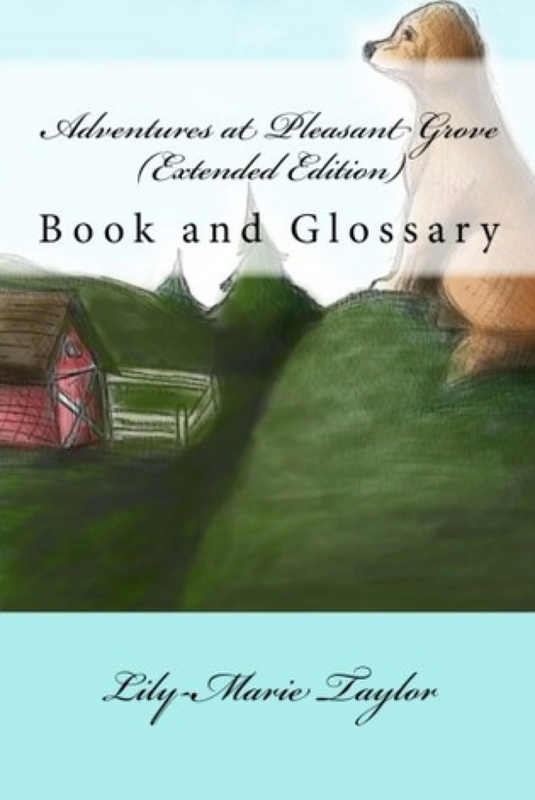 There are many new and exciting words to learn in the Adventures at Pleasant Grove, as well as a few new ones the author has invented just for her Pleasant Grove family!